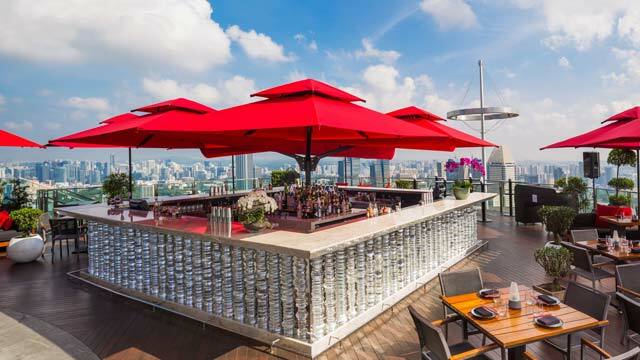 A complete guide to the 20 best rooftop bars in Singapore in 2019. 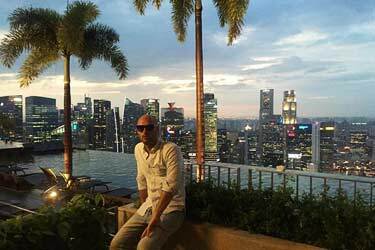 So, which is the best rooftop bar in Singapore? 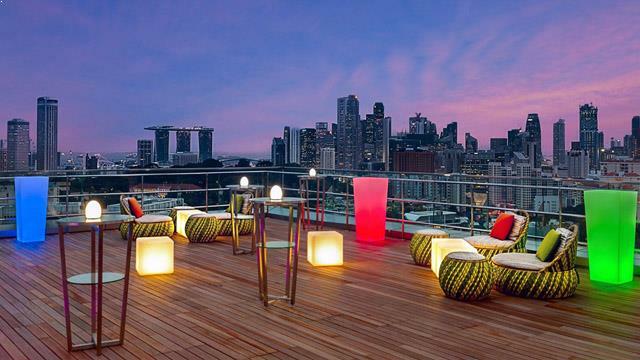 Find all the best Singapore rooftop bars, complete with all info you need about each place. Opening hours, dress code, pictures, locations, booking links and much more. If you like fancy rooftop infinity pools and mighty skyline views, Singapore is the perfect place. The city is packed with spectacular rooftops with breathtaking views. Both over the city and the ocean. The warm climate and many skyscrapers and luxurious hotels are some key factors for making Singapore so great, when speaking of rooftops. 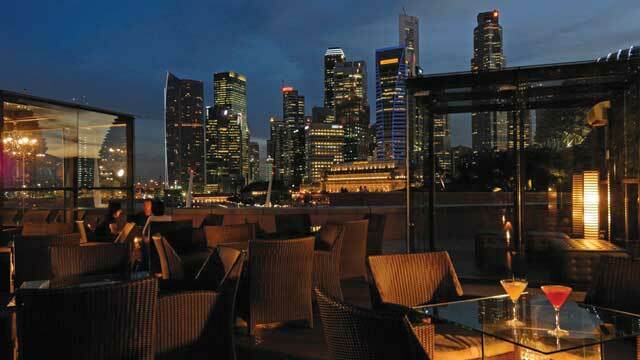 Just scroll down and find the Singapore rooftop bar best suited for you. Or use the Singapore rooftop map in the bottom right corner. 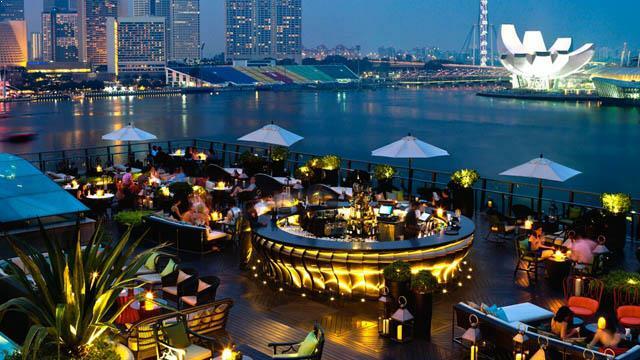 A very stylish and classy Singapore rooftop bar, located on the superb Fullerton Bay Hotel, offering a lovely view of the city skyline and Marina Bay. The large terrace has a very luxurious and stylish setting, with beautiful lounge furniture supplemented with alot of greenery, creating a rooftop garden-feel. And even though the setting is luxurious, the ambience is still relaxed and classic lounge, completed with a great service. Here you can enjoy tasty bites and meals for lunch and dinner daily, along with exciting and well-crafted signature cocktails. Perched about 200 meters above sea level, on top of the world famous Marina Bay Sands, CÈ LA VI Singapore has some truly breathtaking views. From the ocean, over the skyline and the Marina Bay and also over the iconic infinity rooftop pool. Being both a restaurant and skybar / club lounge, this luxurious and trendy venue offers tasty modern Asian cuisine along with well-crafted and fantastic signature cocktails. Visit during day / early night for lounge vibes and fantastic views, or later on to enjoy live DJs and dance the night away. 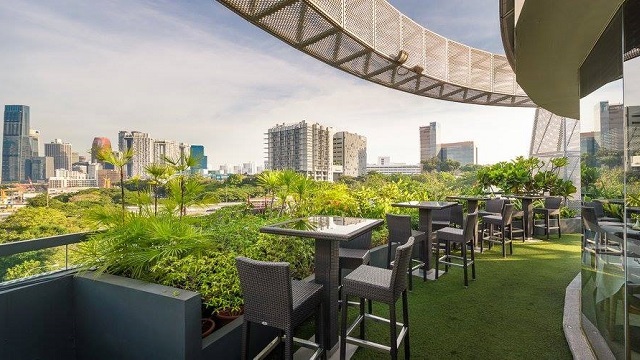 This rooftop bar and terrace is really an urban oasis in the middle of Orchard Road, one of the most famous shopping streets in Asia. Equipped with stylish sun loungers, cosy basket lounge chairs and alot of greenery and natural materials, the terrace feel like a tropical garden. With magical panoramic views over Singapore and a very relaxing vibe, the very best feature of the Jen Orchard rooftop is the large and beautiful infinity pool. Open for guests at the hotel, but also outside visitors for a fee, the pool is complemented by the rooftop pool bar Baywatch @Jen. A list including the one rooftop pool to rule them all, along with some real fantastic contenders. 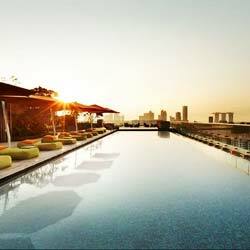 No time to waste, jump right into our list of the best rooftop pools in Singapore! 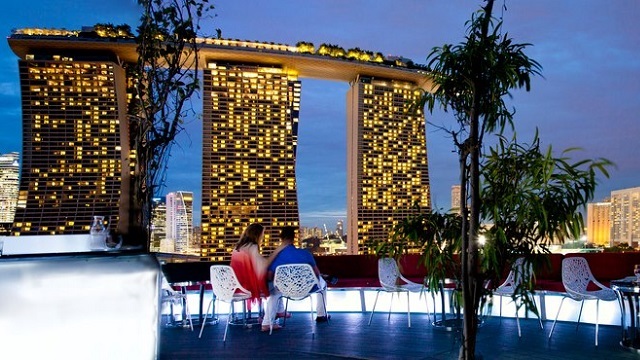 The highest rooftop bar in Singapore, and also the highest al fresco bar in the world. Situated on the 63rd floor of One Raffles Place, up here you get truly spectacular 360-degree views of the entire city and out over the ocean. Viewing gallery at daytime and one of the Singapore hot spots at night, wit a buzzing atmosphere, alot of people and usually a live DJ or band. Come early to catch relaxing vibes and an amazing sunset, or later on to dance the night away. 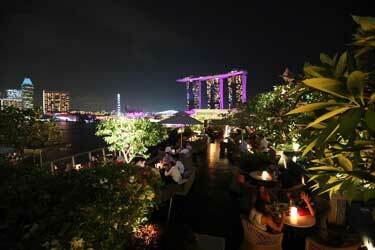 If you are looking for the best Singapore River views, Southbridge rooftop bar is the place to go. Located above the myriad of bars and restaurants along the very popular Boat Quay river walk, Southbridge is somewhat an oasis above it all. You can call it a 'Oyster-Champagne-Cocktail Bar', where you can enjoy oysters fram all over the world, other tasty bar bites like, a good set of bubblys and wines and an impressive array of crafted cocktails. Beautiful setting, cosy and intimate, soft vibe and friendly service. This rooftop bar has one really unique selling point - it is the world's highest urban microbrewery. But that's not all, as apart from craft-brewery, it is also a restaurant and lounge. The rooftop terrace winds like a large balcony around the building, with seats right at the edge and absolutely magical views of the Singapore skyline, Marina Bay and out towards the ocean. 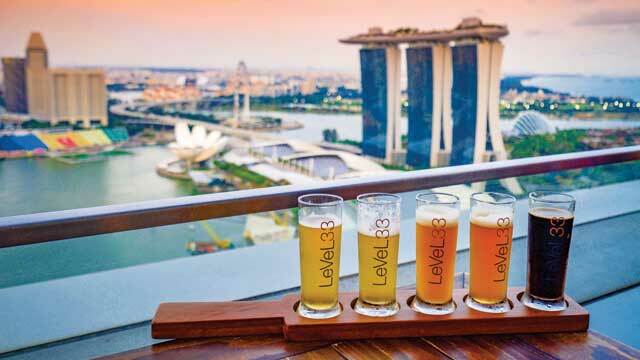 While a main reason to visit is tasting all the beers brewed on-site, LeVeL33 also offers great food, wine, cocktails and nice lounge vibe. 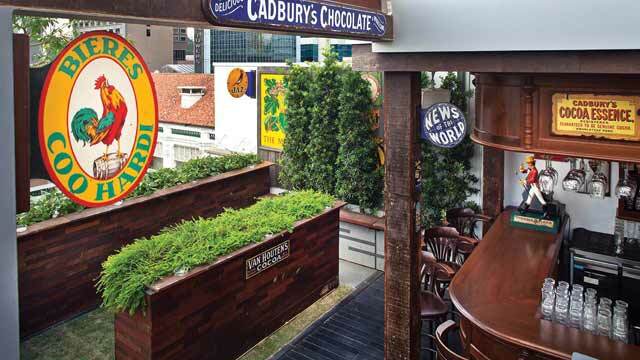 1927 rooftop bar is an old-new destination on the Singapore rooftop scene. Refurbished in the middle of 2018, SO Sofitel Singapore now offers a brand new luxurious cocktail bar. Located in the Central Business District, the terrace does not offer any panoramic skyline views, but instead close-up vistas amid the city's sky scrapers. With a modern-meet-tropical feel and a very stylish and classy decoration, the rooftop bar offers very well crafted cocktails, made with the finest spirits, along with gourmet bar bites. A magnificent rooftop bar and restaurant, located on top of the Esplanade Mall, right next to the famous Theatres on the Bay. From the 4th floor terrace you get an absolutely magical 360-degree view of Singapore. The open terrace is stylish and comes with regular lounge wicker furniture, but the best part is probably the really cool glass huts available here, perfect for a private and cosy dinner with family or friends. A smaller food menu is supplemented with an extensive drink menu, where the main feature are the scientific and well-crafted cocktails. Located in an old colonial heritage building, right where Singapore River meets Marina Bay, you find this stylish rooftop, supplemented with fantastic views over Marina Bay and the CBD skyline. With a fine dining, French influenced restaurant below, the bar bites at the rooftop are delicious. Add vodka-based signature cocktails, Cuban Mojitos, a sophisticated yet casual atmosphere and live music every weekend night, and you have a perfect oasis for a romantic date or some classy drinks before going further in the Singapore nightlife. 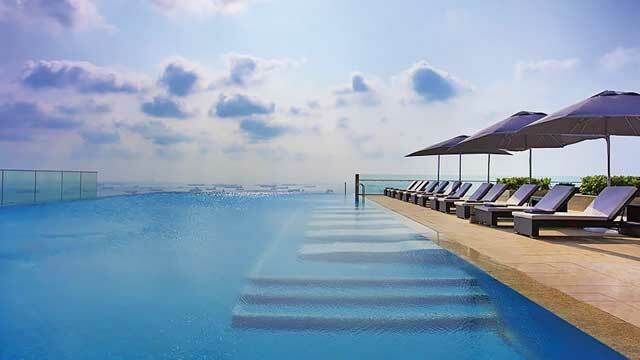 10 best rooftop pools in the world! Dive right into our list of the 10 best rooftop pools in the world. Amazing infinity pools with spectacular views! 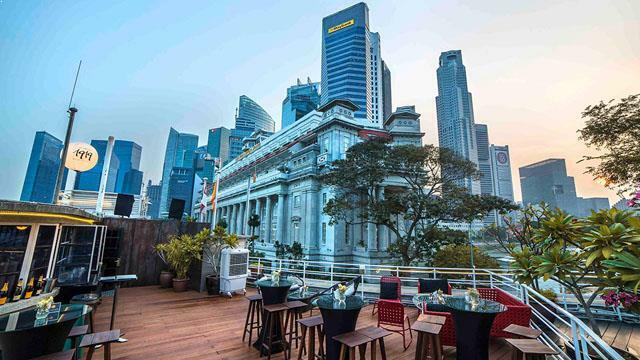 The first standalone rooftop bar in Singapore is not the rooftop with the most grand views, even though it is probably the place for the best vistas over the famous Raffles Hotel right across the street. This 3rd floor large and lush terrace is instead the place for fun times and good vibes. 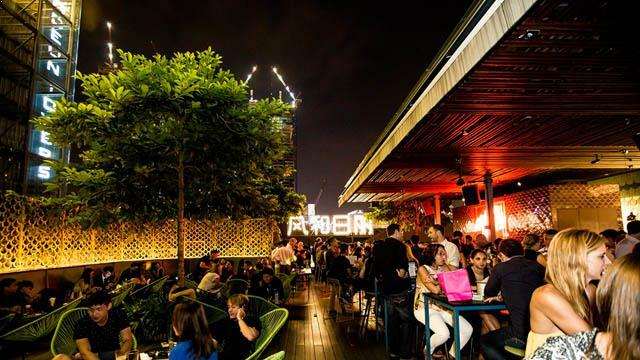 With a mix of beer pong, friendly service, live DJs, well crafted cocktails with inspiration from Southeast Asia and tasty bar bites filled with local flavours, this really is a top rooftop bar for a fun night out. A stylish, cosy and relaxed restaurant and rooftop bar, perched on top of the round shaped and fabulous Wangz Hotel, located in the trendy and urban Tiong Bahru area of Singapore. From the lush and green terrace you get great views of the city skyline and the nearby park. Serving fine-dining European cuisine, both as lunch and dinner, along with well-made classic cocktails and a good wine list, this is a perfect rooftop for a calmer night with great tastes and loved ones. Expect friendly service and good value for money. Kinki is both a modern Japanese restaurant and an urban rooftop bar, located right by the waterfront of Marina Bay, perfect for fantastic views over the water and to catch the nightly light show. The indoor restaurant serves very tasty sushi, and one floor up you find the urban-chic rooftop terrace. Decorated with graffiti walls, japanese lanterns and classic bar furniture, the rooftop bar offers a large drinking menu and a couple of bar bites. With daily live DJs and a vibrant ambience it is a great spot for a casual and fun after work or weekend night pre-party. On top of the National Gallery Singapore you find this very stylish and elegant cocktail rooftop bar. The long terrace runs parallel with St Andrew's Rd below, offering panoramic views over Padang playing field, Esplanade Park and all the way to Marina Bay. The decor is modern with comfortable wicker furniture and a really cool sculptural bar as main feature, where you can order cocktails as well-crafted as beatiful on the eye along with a wide selection of fine wines and tasty bar bites. Popular place, so reservation are recommended. Right in the heart of the buzzing Boat Quay you find an exclusive Italian hideaway called Braci. This is both a 5th floor cosy indoor restaurant serving progressive Italian cuisine worthy of a Michelin star, and a 6th floor small but charming rooftop bar, offering sweeping views over the Singapore River and skyline along with unique and well-crafted cocktails. 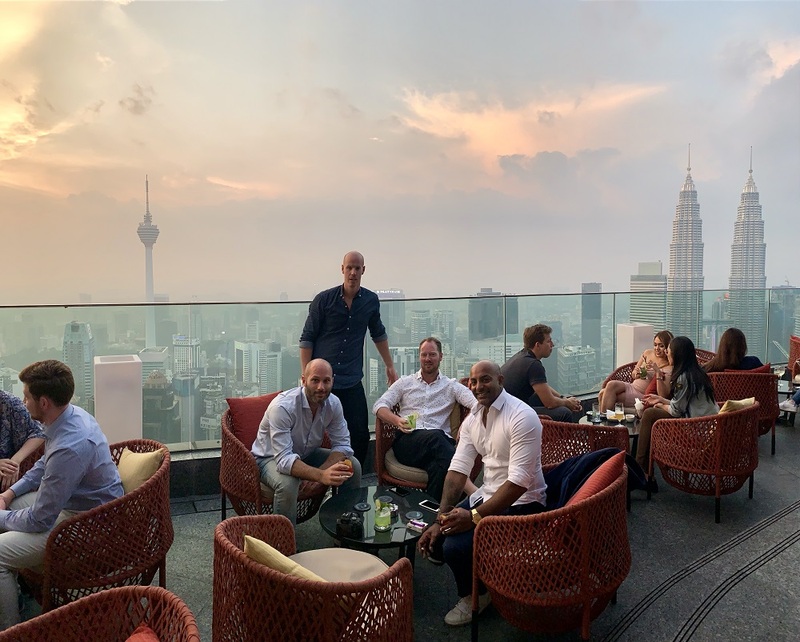 With fantastic service and harmonious and charming vibes, this is a perfect rooftop for pre- or post dinner cocktails, or even better, a combo of both dinner and cocktails. 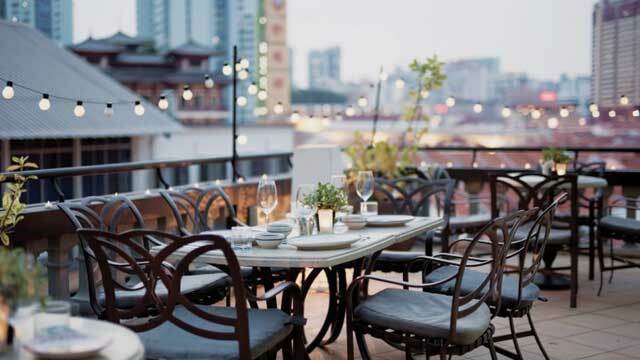 A very cosy and romantic rooftop, perched on top of the charming boutique hotel The Scarlet Singapore, located at the heart of Ann Siang Hill in the Chinatown area. With contrasting views of both the nearby terracotta roofs and the modern CBD skyline, the setting up at Aria is intimate and beautiful. Enjoy authentic Sicilian street food, Italian wines, craft beers and well crafted family-recipe cocktails, completed with herbs growing at the rooftop. Perfect for a chilled and coversational after work or an evening out with a loved one. A high-end ultra sky lounge and one of the hottest nightclubs in Singapore. Located in the CBD, it's created to be the perfect AW spot for high vibes after a hard days work, and even more so during weekends. So high in vibes and high in alltitude, from the 45th floor of Singapore Land Tower you get panoramic views from the large, roof-covered terrace, including fantastic vistas over Marina Bay. Serving all the classic drinks and some bar bites, Empire is also part of the multi-concept collection Fifty Raffles Place, with several restaurants and lounges on the same floor. Mr Punch Rooftop Bar is likely the most quirky of all the Singapore rooftop bars. And being located on the roof of the Mint Museum of Toys, it feels just right that it is. Part of the Mr Punch Public House, that also includes the basement in the same building, this rooftop rooftop feels alot like a classic English pub. Not the fanciest or best views in the city, but a great and relaxed place to hang out with a group of friends and enjoy punch jars to share, classic and vintage cocktails, beer, friendly service and good vibes. 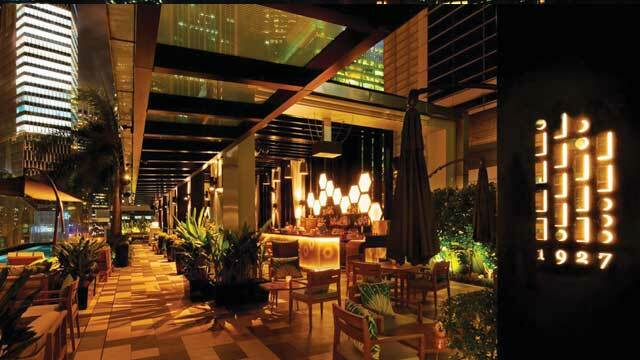 Aura Sky Lounge is a big and multi-functional roof terrace, located on top of the Singapore National Gallery. 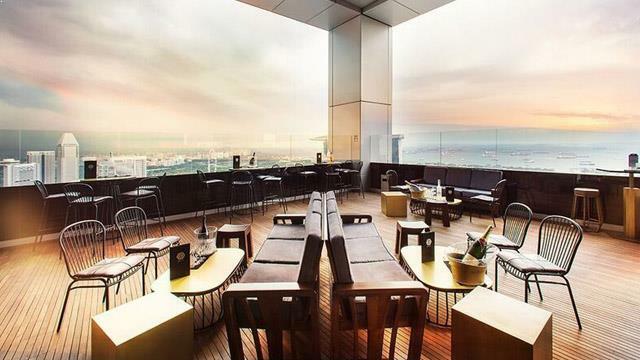 With both inside lounge and a long balcony, the rooftop can seat about 200 and offers dazzling skyline views over Padang, Marina Bay and the surrounding skyline. Here you can enjoy Italian food during the day and when evening comes, the rooftop turns more into bar, serving bar bites and well-crafted classic cocktails. Perfect place for lunch when visiting the gallery, or after hour drinks with a classic lounge vibe. 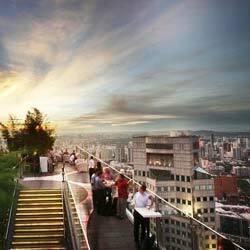 Check out our dazzling list of the highest rooftop bars in the world. 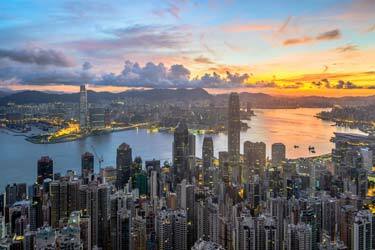 Sip a cocktail with views from some of the highest buildings in the world! 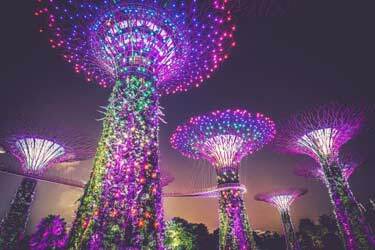 In the beautiful Gardens by the Bay you find the famous SuperTree Grove, and perched atop the the tallest structure of them all is SuperTree rooftop. Up in the tree you can choose between the fully air-conditioned restaurant on the 14th floor, or the superb alfresco rooftop bar one floor up. Both completely round and with spectacular 360-degree views. The SuperTree rooftop terrace take full advantage of its unique layout, with nice lounge sofas all around the edge, and rom the rooftop bar you can order from both an extensive drink menu and choose between a good selection of Asian tapas. Not really a rooftop bar, but such a fantastic infinity pool that it deserves a mention anyway. 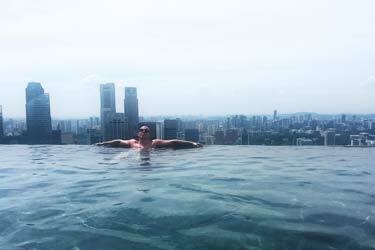 One of the absolut coolest rooftop pools in Singapore, and in this city that says a lot. You’ll find this awesome rooftop pool perched on the 35th floor of The Westin Singapore, located right in the Central Business Distirct, close to the Downtown MTR and Marina Bay. From the rooftop you get amazing and unobstructed views of Singapore’s south coast, including both skyline, ocean and Marina Bay. Discover the biggest collection of Singapore activities, guided tours and skip-the-line tickets. Anything you want you'll find right here. A must do in Singapore! Full day experience at Marina Bay Sands. 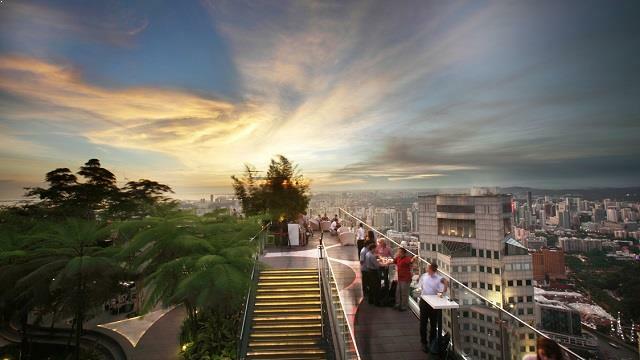 Which are the best rooftops in Singapore? 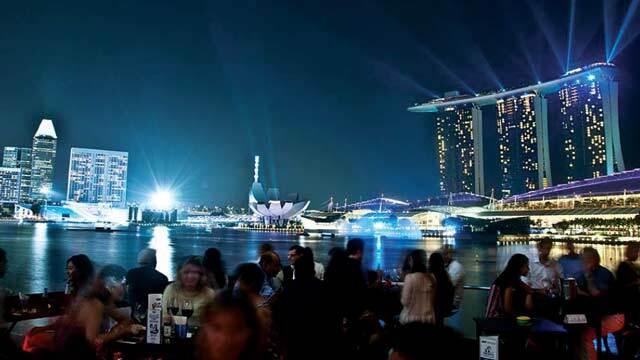 This complete guide will help you find the best rooftop bars in Singapore. The climate in Singapore is equatorial tropical, which means around 30 degrees celsius all year round. It's very hot and humid and has abundant rainfall. The high skyscrapers and the hot weather contributes to the city being ultimate regarding rooftop bars. 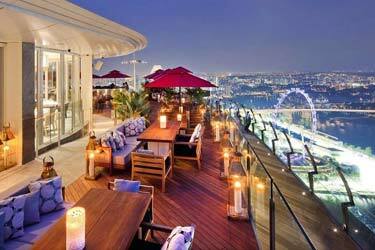 There are plenty of stunning rooftop bars in Singapore that often are very luxuriously furnished and with superb views. 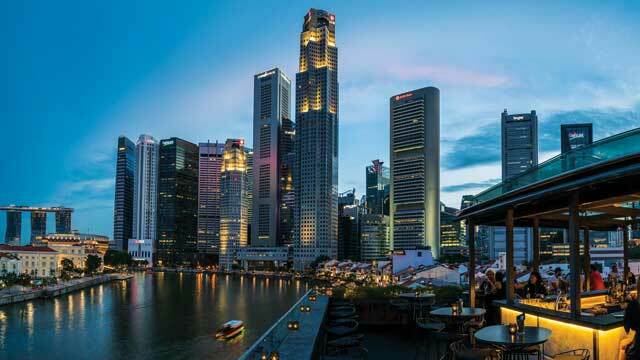 Almost all rooftop bars in Singapore are within walking distance of each other. All very centrally located close to the shopping streets, Marina Bay and the business district. Some roof terraces are also available a little bit outside of the city center, close to the sea and the beach instead of skyscrapers. 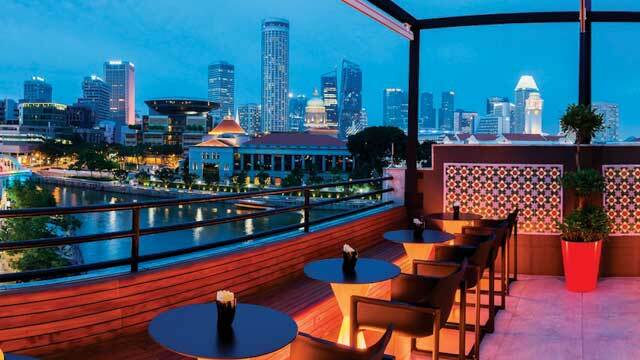 Singapore possesses lots of good, cool and grand terrace bars. One of the most rooftop populated cities in the world. 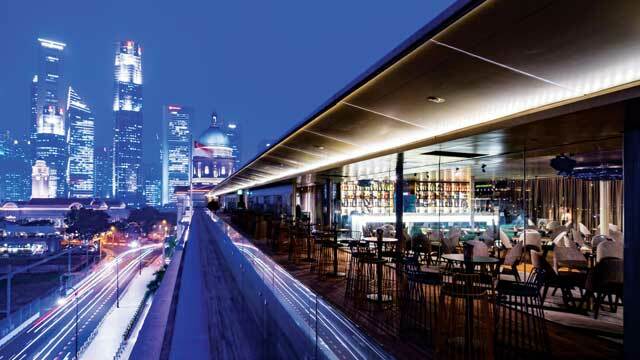 For those who like heights, magnificent scenery and pleasant climate, you should visit a Singapore rooftop bar. Singapore is Southeast Asia's smallest country. The Nation is located on several islands, but mainly a large island where the city of Singapore is located. 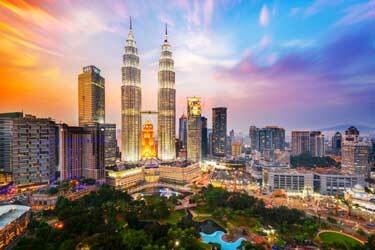 The country and city is bordering Malaysia in the north and Indonesia in the south. 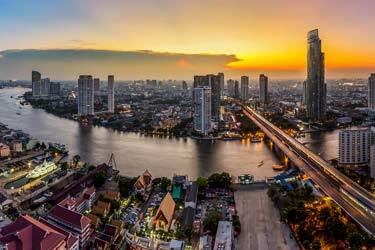 Unlike many other Asian countries, the standard of living is very high. 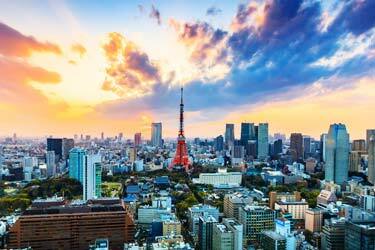 It is ranked as the 11th country in the world in the matter. If you like food, drinks and party then you have come to the right city if you chose to go to Singapore. On the rooftop bars in Singapore you can get all this. And in many cases, all of it at one and the same rooftop. 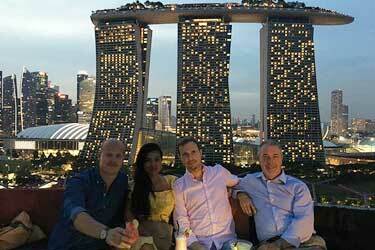 Some of Singapores rooftop bars offers gourmet food and great drinks to some of the world's coolest views. Of course you can order the classic Singapore Sling in most of the rooftop bars in Singapore. 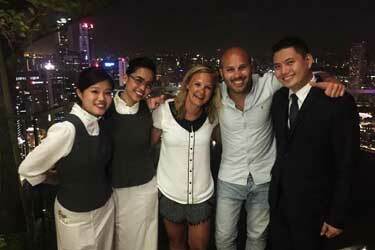 Or how about a Michelin dinner overlooking the entire Singapore skyline. Here, everything is possible. For those who want to party on the rooftop bar, there are also options. Both a little bit more chilled bars, to nightclubs that keep open the whole night, with views of Marina Bay and Singapore’s skyline. 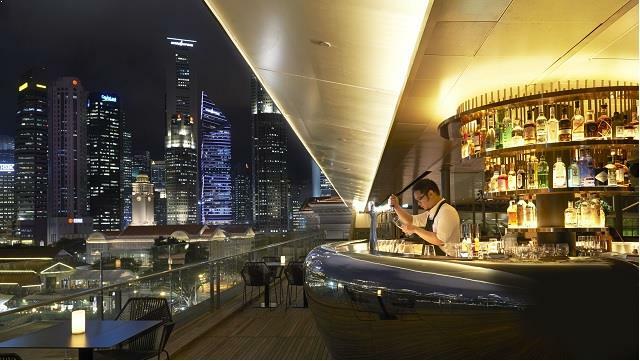 Singapore has some of the world's highest rooftop bars. Among them, 1-altitude with a height of about 282 meters located on the 63rd floor. Not for those with vertigo. On the roof of the Marina Bay Sands you will also find the world's highest and largest infinity pool. An amazing experience to be able to lay with your feet on the edge of the pool while gazing out over the city at 200 meters. The view from the rooftop bars in Singapore may vary. However, most have views are of Marina Bay while Marina Bay Sands has a view of the city skyline and the sea. Here you get some of the most powerful views you can get from rooftop bars in the world. 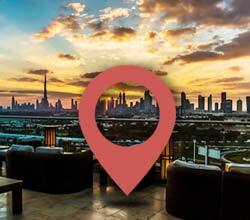 Visit a rooftop bar from each side of the city, and you are guaranteed a number of memorable and cool pictures. Given that Singapore is a very modern and quite newly built city, there is not very much historical buildings and monuments to visit or look at here. Centrally there is well-preserved neighborhoods such as Chinatown and Little India. Here you can eat great, tasty and authentic food. For those who like shopping you should go to Orchard Road with all its fabulous malls. Otherwise, it's quite nice to stroll around the botanical garden or take a boat trip on the Singapore River. For those who want to venture a little outside the city there are beautiful sandy beaches nearby. Here's a perfect guide for one day in Singapore. In Singapore, you can find some of the coolest rooftop swimming pools in the whole world. Or what do you say about a giant infinity pool at 200 meters’ altitude at the luxury hotel Marina Bay Sands. 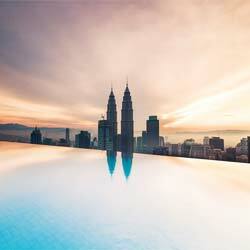 There are also more infinity pools that have magical views from Singapores skyline and skyscrapers. As in almost all other places in the world, it is only the hotel guests that may use the rooftop pools. Book your hotel directly with us and make sure that you get to experience the luxury with a rooftop pool. It gives you a guaranteed memory for life and an extraordinary experience. The warm climate makes the rooftop pools in Singapore to stay open all year, except for those days when there is a storm or monsoon rains. Singapore is a major air hub in Asia. This is where hundreds of planes lands and lifts every day and many of the long flights from Europe or America are passing through here. The airport can be reached easily and quickly by taxi to the Singapore center. Regarding hotels, you can find some of the coolest and most luxurious hotels in the world here. Or how about Marina Bay Sands with the world's highest infinity pool, private shopping centers etc. But there’s also very good option for those who do not want to spend too much money on accommodation. Singapore ranks as one of the world's most expensive cities, so keep an eye on your wallet when you buy or book stuff here. With us, you always get the best rates and deals when it comes to hotels.